Join me in Puglia, unexplored Southern Italy in 2018! I fell in love with Puglia when I visited for the first time with tour company Southern Visions in 2013. Puglia is the sun-drenched heel of the boot that spans two seas, the Adriatic and the Ionian. Basilicata is its neighbor to the west. Both agricultural regions with abundant healthy soil, over 50 million olive trees and a tradition of wine growing that has seen a fabulous dynamism in the last ten years, this area produces some of the most exciting wines in on the planet. There are more olive trees in Puglia than there are people in Italy! 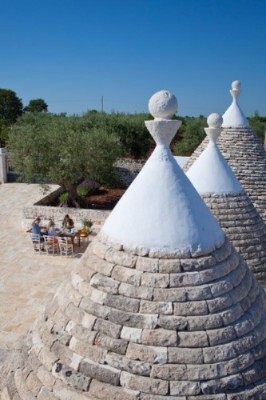 As Travel & Leisure wrote: Puglia: Enduringly unbuttoned and decidedly local. It is delightfully unspoilt yet full of the most wonderful food, wine and traditions. It blew me away. I have been talking to Southern visions ever since and now I am able to bring this very special area to life so that my guests can also enjoy the experiences I did. You now can join me on this truly authentic wine and gastronomy experience through Puglia in May of 2018. This 7 day adventure through Puglia will allow you to enjoy 6 nights in unique 4 star hotels such as Palazzo Viceconte & Masseria Montenapoleone. With access to the up-and-coming vineyards and small local producers not open to the public, walking tours of the region’s most characteristic towns with certified accompanied Pugliese local & guides, diverse restaurant meals and of course a cooking class so you can bring the recipes home. We’ll have a leisurely visit to the UNESCO site of Matera (where Mel Gibson famously shot The Passion of Christ) and visit the Trullo Capital, UNESCO Heritage Site, Alberobello. 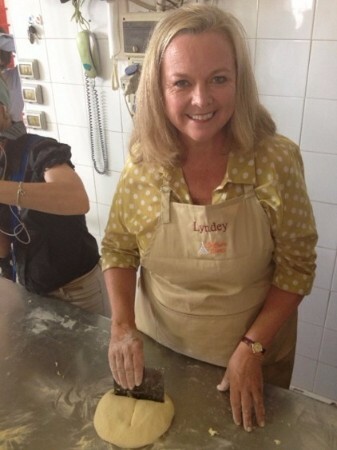 Enjoy hands on Bread-making in Altamura where DOC (Denominazione di Origine Controllata) bread is made from a revered mother dough, a cooking classes with me and an insider’s look at burrata cheese making. Plus a tour around the olive groves and oil tasting at an ancient olive oil estate where we saw trees up to 3000 years old, protected by satellite!. Don’t forget the private lunch at Li Veli winery.You can read more about my last Puglia trip here, Puglia the undiscovered heart. For full details please visit Southern Visions or contact Alison Pike by clicking here. Or email me by clicking here or ring my office on (02) 8437 7500.